First, I want to mention that IR photography is NOT thermography! While thermography uses the wavelengths from 1 µm down to about 14 µm, with this mod you will be able to capture images in the range of 850 .. 900 nm (depending on the filter used) down to 1 ..1,5 µm (so only temperatures above 400 .. 450°C will appear as light (look at the pic of the soldering iron in the gallery!). After visiting some webpages I wanted to take some infrared pictures because it's an interesting way to "see the world through different eyes". 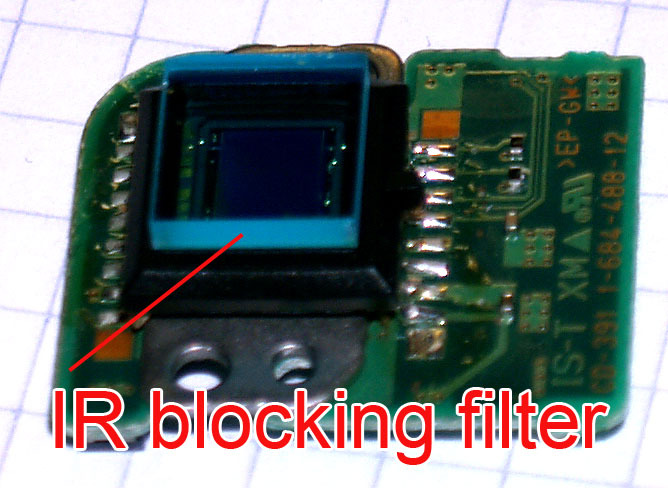 After some "googling" I found out that the reason for this problem is the IR-blocking filter installed on the CCD-Sensor (the sensor which converts the incoming light into electrical information): This filter avoids that infrared light reaches this sensor cause this could lead to bad colors and overexposures. With this knowledge I decided to build my own infrared sensitive camera. 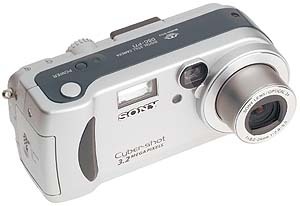 Due to good experiences with my old Sony Cybershot P71 (pocket camera, 3,2MPixel, 3x optical zoom, noise reduction, up to 2sec. exposure time) I searched for this camera at eBay and found a model for a few Euros with some minor bugs. 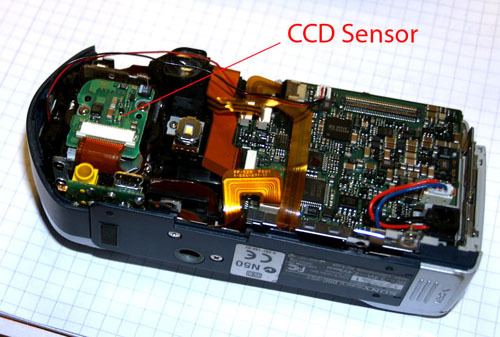 Now remove the two mounting screws of the CCD Sensor, unplug the cable and remove the sensor circuit board. 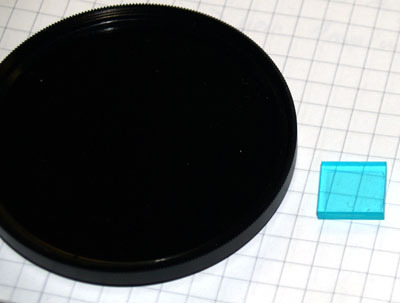 Removing of the IR-blocking filter is quite easy; just grab the filter with a caliper and turn it carefully, on two cameras this method worked without damaging the sensor (the glass filter is glued on the CCD with only little glue or is just pressed against some adhesive-coated rubber sheet). When you got this, you could reinstall the CCD assembly back into your camera but be aware that removing the glass changes the aperture of the focus adjustment! In my first attempts I was unable to get any sharp images due to this! 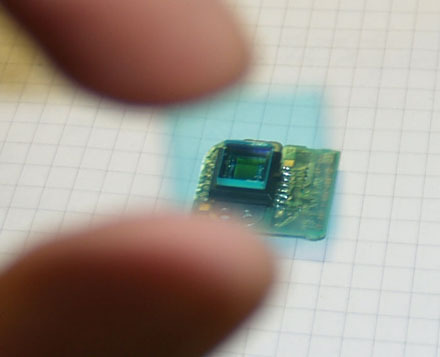 Then I tried if it works with a piece of normal glass (from the old windows in our house) instead of the IR filter, so I've cut two rectangles with 2 mm and 3 mm thickness. 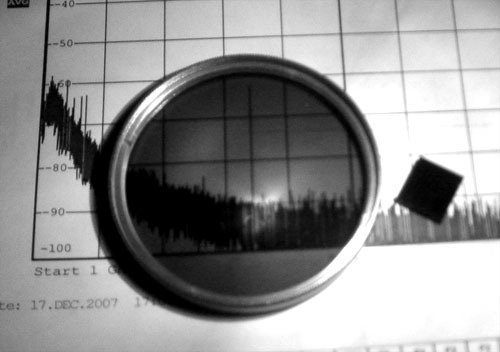 The original IR filter was about 2,4 mm thick but with the 3mm glass the autofocus worked great! But shooting IR and visible spectrum at the same time wasn't really satisfying, there was too much red in the pictures and the "IR effects" were reduced by the strong sensitivity of the sensor in the visible range which overlayed the IR. So the next step was replacing the IR block filter with a IR-pass-only filter! A few years ago I got an IR filter glass used in UdSSR tanks for aiming illumination and observations with night view devices. 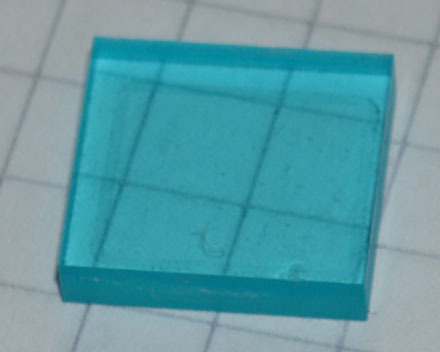 This glass is about 3mm thick and has a diameter of 20cm. Because I had no real use for this, I decided to take the glass cutter to cut out a piece 11x11 mm and mounted it in front of the CCD chip. As you can see in the picture above the IR-only filter appears black because all visible light is "locked out". The picture through the IR-pass filter is darker than the background cause this filter only lets pass wavelengths > 900nm while the "tank IR glass" installed in the camera is transparent above ~820 .. 850 nm so there comes more light through. There's still plenty room for optimisations, especially with the filter surface (while cutting I made some scratches into its surface; when I have time I'll try to cut a new piece of filter glass ...) but perhaps I could show you an easy (and cheap!) way of doing infrared shots without special equipment and you are eager to give it a try, too!